We're blazing toward the New Year, so it's about time that we look back on the amazing year that was 2013. The Aquarium celebrated some unbelievable moments—some much touted and others quieter. But they're all part of what makes the Aquarium so special. We're continuing the countdown of the 10 most exciting, cutest, noteworthy and/or memorable ways that 2013 is one year that we won't forget. One of the triumphant scenes from 2013—rescued sea turtles heading home! Every year the Aquarium works with the Massachusetts Audubon at Wellfleet Bay to rescue and rehabilitate stranded sea turtles. Last year was one for the record books, with more than 200 turtles washing up on the shores of Cape Cod. That meant dozens of turtles needed to be released once they were healthy enough. And that was the impetus behind the historic Sea Turtle Trek! 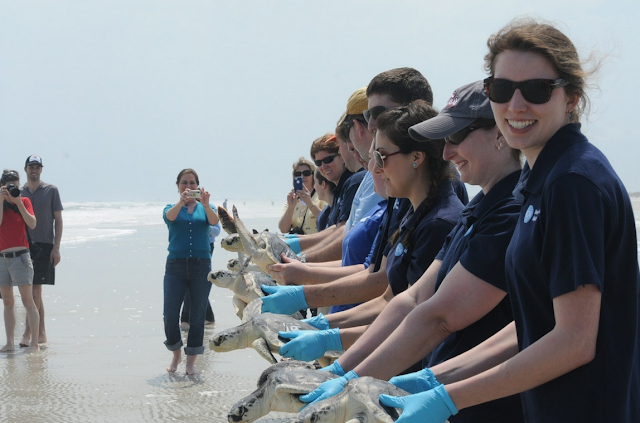 The goal was to work with rescuers up and down the East Coast to ferry some 50 turtles to Florida for an historic release into the warm waters down south. 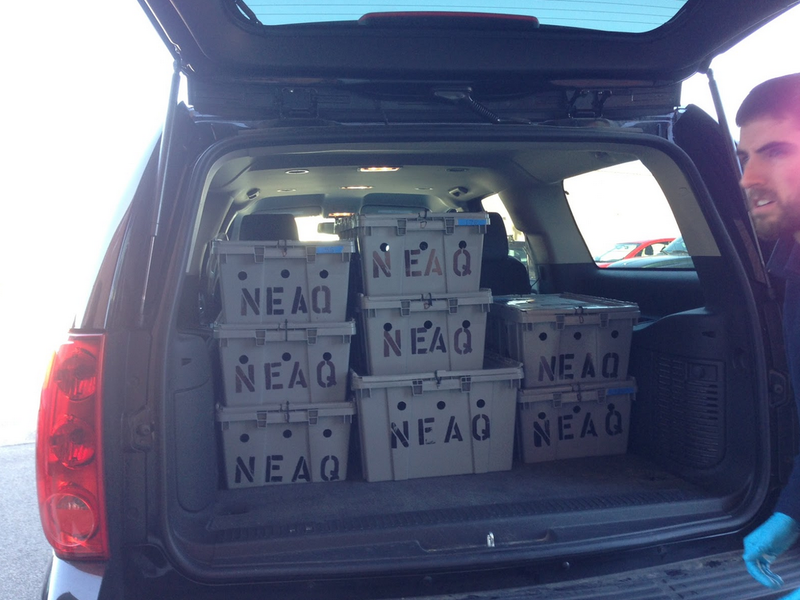 The caravan started in Quincy one sunny Saturday in April, all the turtles tucked safely in their carriers. The group met up with the Riverhead Foundation of New York to pick up a few more loggerhead sea turtles. This stranding season was unique in that many more loggerheads stranded than usual. Housing and feeding these turtles was an incredible challenge during an already busy season. It was dark by the time we met up with our partners at the National Aquarium in Baltimore. 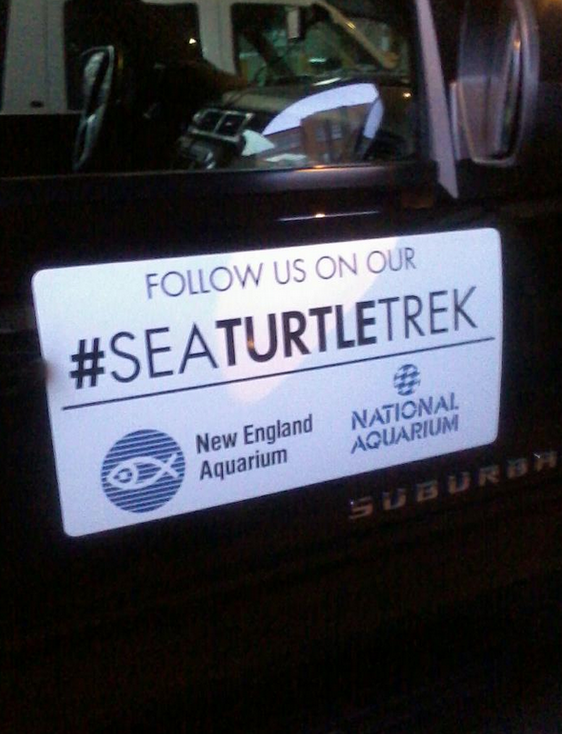 They presented our cars with some terrific adornments that let fellow drivers track our journey through a special Twitter hashtag—#seaturtletrek. to add even more turtles to the trek. 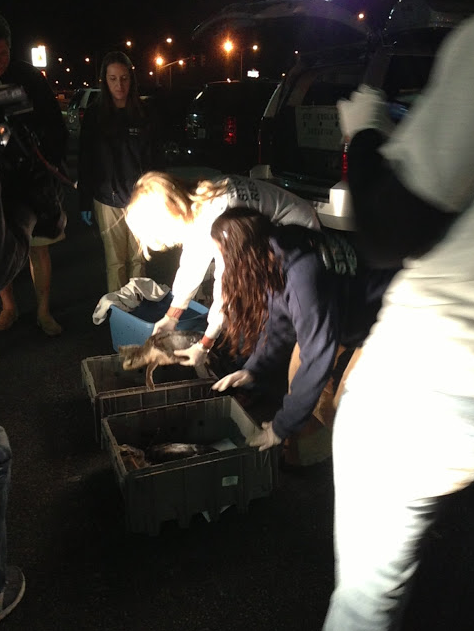 The teams drove through the night with one unplanned stopover in Virginia to add a few more turtles to the trek. 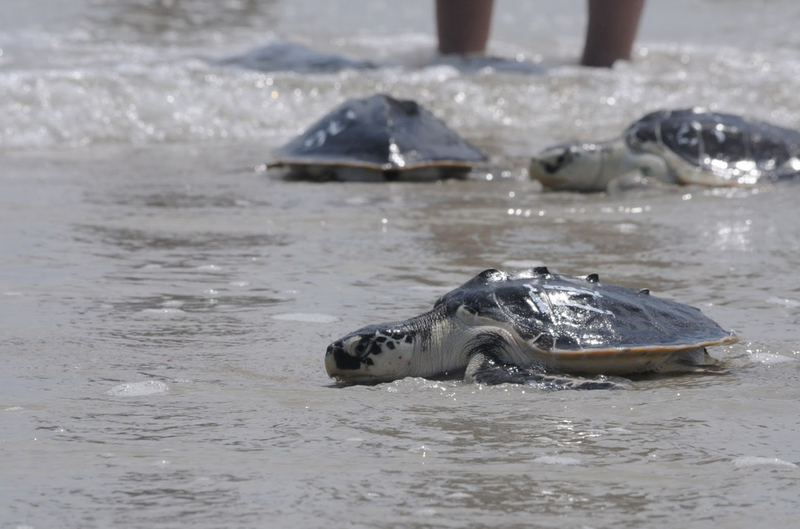 This pushed the number of turtles to be released over 50! 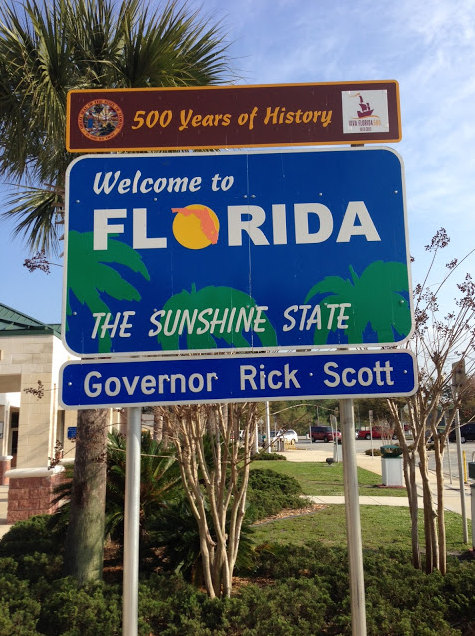 It was an exciting moment when the caravan crossed into Florida. Hours and hours and miles and miles after the Sea Turtle Trek started in Quincy, the weary rescuers were all smiles when dozens of endangered sea turtles returned to the ocean. The turtles shuffled and dragged themselves over the wet sand until they were once again swimming free in the ocean. Definitely a triumphant moment of marine animal conservation! The Aquarium's Marine Animal Rescue Team is at it again, caring for dozens of endangered sea turtles after the cold-stunning season. You can support their efforts by sponsoring a Kemp's ridley sea turtle through our Animal Sponsorship program!